A Victory in the Struggle for REAL Climate Solutions! Not only do offset programs allow continued pollution, but these particular forest protection schemes have a poor track record of actually protecting forests and often lead to the displacement of indigenous peoples who have stewarded their lands for millennia. Plus, offset schemes hurt the communities – predominantly people of color and indigenous peoples – who live on the fence lines of industrial polluters around the world because they allow those polluters to continue spewing toxins into the air. We cannot simply offset our way to a climate stable world. 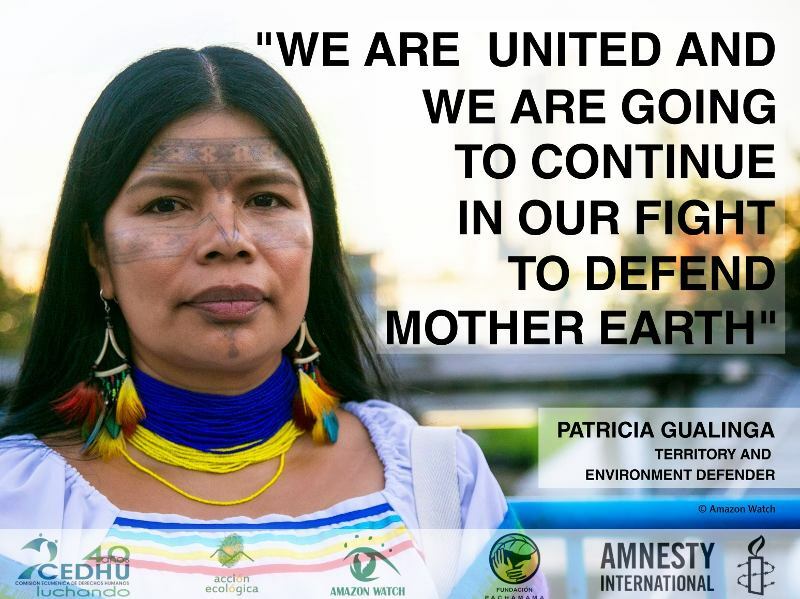 We need real climate action that addresses the primary cause of climate change: fossil fuel extraction and commodity-driven deforestation, and calls for climate justice. The World’s Forests Will Collapse If We Don’t Learn To Say "No"
An alarming new study has shown that the world's forests are not only disappearing rapidly, but that areas of "core forest" – remote interior areas critical for disturbance-sensitive wildlife and ecological processes – are vanishing even faster. Last month in direct violation of its own laws on "free, prior, and informed consultation" Ecuadorian government officials and oil company technicians entered oil blocks 74 and 75 in the heart of the Ecuadorian Amazon, without informing many of the communities whose ancestral territory the blocks overlap, in what appears to be part of a plan to pull apart the Kichwa territory in the Bobonazo river basin. 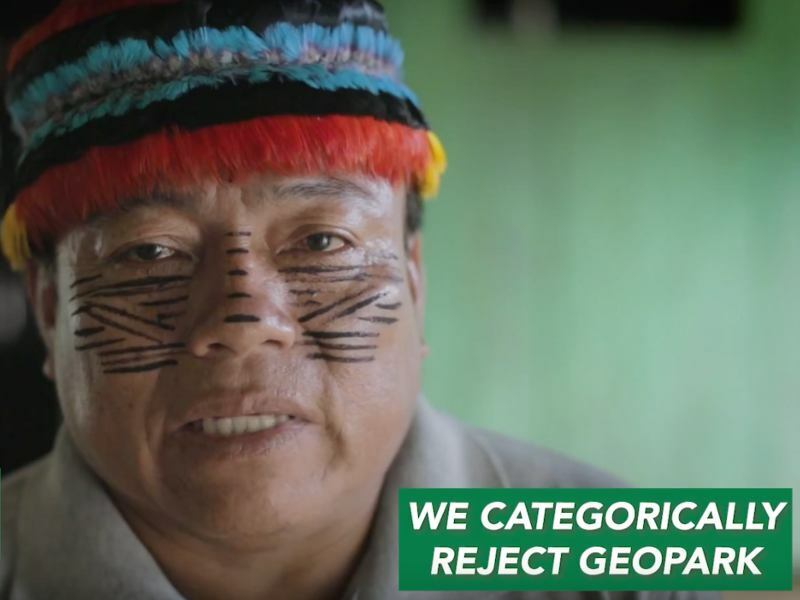 "As with road projects, railways open access to previously remote regions, bringing a flow of migrant workers inevitably followed by deforestation mafias and cattle ranchers, creating a perfect storm of pressures upon the forest and forest peoples," said Christian Poirier, Brazil-Europe Advocacy Director of Amazon Watch. 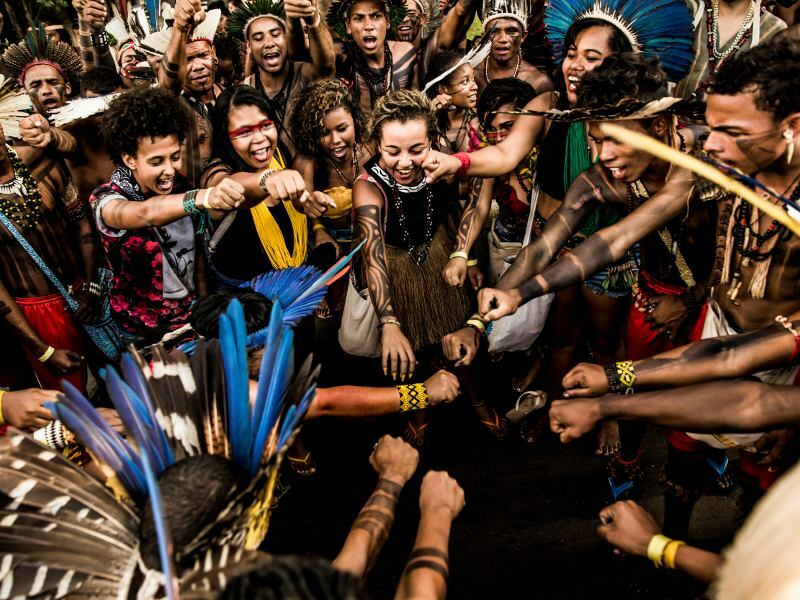 "This proposed bill ignores the international commitments made by Brazil to guarantee the rights to participation of indigenous populations in the decision-making process related to the exploitation of the natural resources on the areas they traditionally occupy," said Maira Irigaray, Brazil coordinator for Amazon Watch. "In this sense, this bill is another attempt at diminishing these rights, and reinforcing the predatory exploitation model in Brazil." Recently, questions have arisen about how Amazon Watch works to stop deforestation, and we'd like to take a moment to clarify our strategic approach to this vast problem and acknowledge that our programmatic strategy indeed addresses the heart of this issue. From the Amazon to the Andes, thousands of activists marched through the streets of Lima on Wednesday to demand a just solution to climate change. The march through the traffic-choked streets put a human face on the United Nations climate negotiations, a process largely confined to suited bureaucrats working behind the high walls of a military compound in a leafy neighbourhood of Lima. "[REDD gives] permits to pollute," Smithie told the Tribunal. "[It means] forests of the world acting as a sponge for northern industrial countries' pollution. They can pollute if they grab forests in the global south."